Have you seen the ultra realistic heads that the guys over at Drop Jaw Flies are making? When I first got my hands on a streamer tied by Jason from Drop Jaw Flies I was setting up for an early fall float on the famous South Fork of the Snake River, we got there bright and early after a 4 AM departure from SLC to make the trek up north. All I had on my mind the entire drive up was pounding the banks with streamers hoping to entice that two-foot brown to demolish my streamer but the other question was…. What streamer is going to be “the ticket” and luckily enough it showed up as a gift from my friend Travis Ruiz. He hooked me up with what looked like an actual whitefish… but to my amazement it was a Drop Jaw Fly from Jason. The float started off great and the baby whitefish pattern was turning some hefty fish and right then I knew the guys at Drop Jaw Flies were up to something because we couldn,t turn fish on simplier less realistic patterns that day, except the baby whitey which crushed all day! 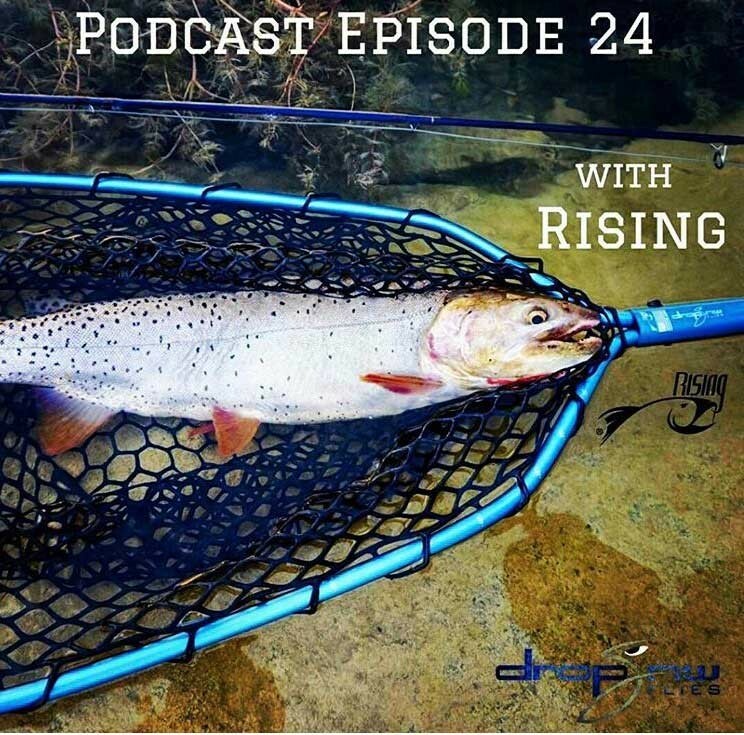 Fast forward a couple of months and Chad from DJF reached out to me and wanted to see what RISING was all about since we were a fellow Utah Fly fishing coampany! Chad and I played phone tag and bounced emails back and forth for a couple of months before we finally got something set in stone to have them by to check out the shop. While Chad and Jason were by the shop they picked up on a bunch of custom engraved Tools and Nets with their logo on em! Those two dudes are fishy…. it was only an hour or two later after we shot the podcast that I got a text message with a picture of 20+” cutthroat resting happily in their new net! Check out the full Podcast here on their youtube channel and make sure you subrscribe!